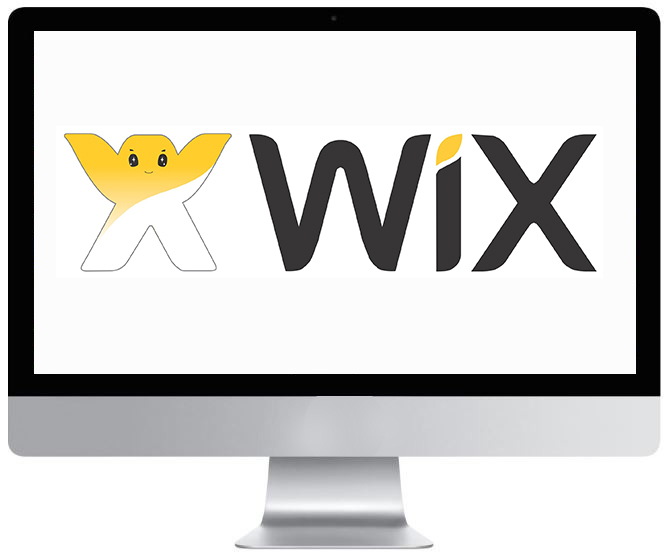 Wix updates its software, themes, and plugins constantly. It's not an open source platform. Instead, a team of dedicated developers does the maintenance and updates. They also monitor Wix websites to prevent any external security breaches. While the close monitoring offers a high level of security, always use their latest software versions. Enable automatic updates and you will never have to deal with outdated software. Old programs can compromise your computer by introducing bugs. Hackers can identify security vulnerabilities and your site can decline in performance. Wix doesn’t offer automatic backups. What it offers is the ability to duplicate your site so that you can recover almost everything on it. Some of the things not backed up are store orders, invoices, and contacts. Some apps can also be backed up. Backing up your site protects you from any damages caused by hackers or computer malfunctions. If a hacker compromising your site, they often also hold you at ransom for money. Another issue could be a Wix update gone wrong. Since only an authorized number of people handle security at Wix, they could make errors. An update can help you get back your site and all the files affected by the updates. This seems obvious, yet most people don’t take password protection as seriously they should. An average Wix website will have three or more areas where a password is needed. Your login password to the site is the first important area to secure. Login access details to checkouts and other areas should also have strong passwords. Failure to use strong passwords means that online attackers can easily compromise your site. There are many ways hackers can get into your site. They could guess your passwords based on what you regularly post on your social media. Some will disguise as your friends and trick you into sending them your login details. Never use popular words that can be found in dictionaries as passwords. Also, don’t use words like your names or anything that could easily be guessed. Instead, use hard to guess, a mix of letters, words, and symbols. Another thing, install a lockdown tool for your website. If someone uses the wrong password three or more times, their IP address is banned from accessing your site. Every website on Wix comes with an SSL certificate. For the uninitiated, SSL is the security tool that ensures your site reads HTTPS and not just HTTPS. SSL shows your site follows standard security measures and is safe to use for your customers. In a more technical language, the SSL feature is a security protocol through which your Wix site communicates to any other websites and browsers. The feature prevents your site’s data from being stolen as websites and browsers communicate. Without the feature, your site transmits data in a way that can be hacked. Wix uses SSL and several other techniques to keep your website secure. If you own an online store, the platform offers only payment gateways with the most secure tools. Find out more details about the platform by reading Wix website builder reviews at "the top 10 sites." You may spend thousands of dollars securing your Wix site but if your computer is unsafe, you have a big problem. Online attackers don’t go after people whose computers are impossible to break. They find security weaknesses in computers. They can discover your login details, passwords and other information they could use against you. There are many ways to secure your computer and other smart devices. Start by enforcing strong passwords. Limit the number of people who use your computer. Install a firewall and a good antivirus program. Ensure the firewall detects malware and can block them before they have any chance of compromising your computer. As your website grows, you’ll need to provide access to some other people. Maybe someone wants to guest post. Create an account for them but limit the kind of features they can access. That is called the concept of least privileges. You give different users different privileges to your site. Your editors can access all kinds of content and the authority to publish. Accountants can view some financial records but not all. After providing them with access, monitor their activities to find out how they use your website. Even the most secure websites can be compromised. You or other people who use your website can be weak links. Your files could be injected with a virus after forgetting to update your malware protection. The best thing you can do to keep your site safe is to install security measures and to actively monitor your website. Change your passwords regularly and revoke user access to people who no longer work with you. If you detect any issues, alert Wix authority and get a solution somewhere else. Wix does a great job in securing its sites. They offer SSL security certificate, update your software automatically and back up your site. However, there are many areas where your input is needed. Follow the tips above and always alert security experts should you suspect any vulnerabilities.